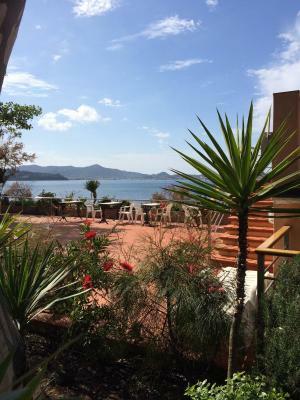 Lock in a great price for Hotel Mare – rated 8.7 by recent guests! The location was beautiful and write on a bay. 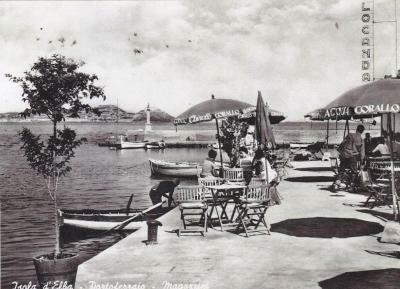 The restaurant was located right on the bay with a boat marina. Some of the restaurant dishes were excellent. They had a special on seafood risotto that was too die for. Their steak au pouvre verte was better than you get in most restaurants. They also had a very good antipasto di mare. Our view was beautiful and the breakfast was great! Amazing family atmosphere, wonderful cuisine, perfect location and lovely staff. Loved it! The hotel was good and very clean. The staff were all very helpful and polite. The only downside is that it's an expensive taxi ride to the town if you want to head out in the evening. Although saying that, they run taxi boat's in the day time. Overall had a very good stay and there was some lovely beaches close by if you fancy a decent bike ride. 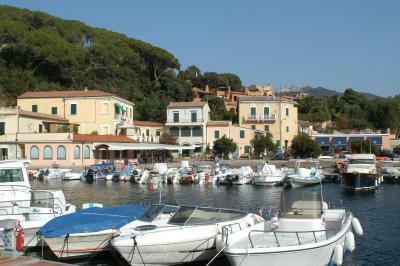 Elba is wonderful location for discovering. Average hotel with an above average price. Personal is ok and friendly. 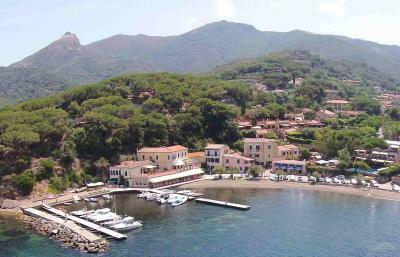 Excellent location of the hotel in a quiet bay, on the first line, comfortable room with sea view, helpfull staff, good and diverse cuisine. In order to see all the sights of the island you need a car (free parking). location is amazing! 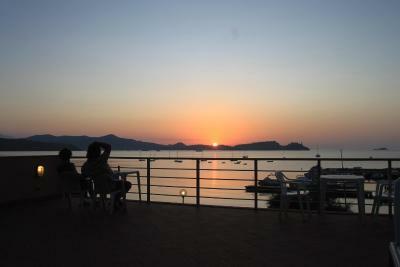 The view is great , sunset was beautiful. Free parking around . So quiet around. The breakfast was nice and staff was so kind. The room was clean and tidy. Relatively quiet location, with not so overcrowded beaches. The food and atmosphere (welcome, service, location, advice, etc) in restaurant was excellent. The hotel provided free bikes, they also arrange delivery of scooter for exploring island. Beautiful location, pleasant staff, wonderful food. 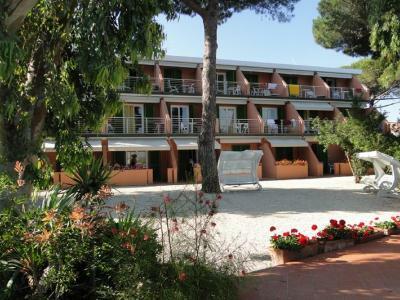 Hotel Mare This rating is a reflection of how the property compares to the industry standard when it comes to price, facilities and services available. It's based on a self-evaluation by the property. Use this rating to help choose your stay! 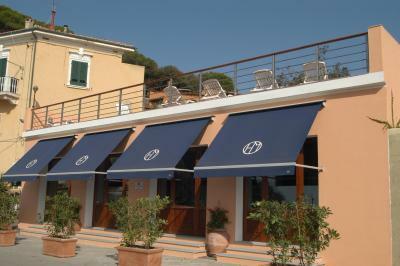 One of our best sellers in Portoferraio! 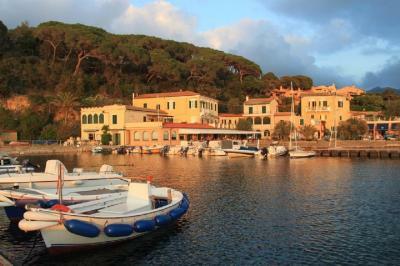 Hotel Mare is set in the old fishing village of Magazzini, and offers views of Elba Island's Portoferraio Bay. 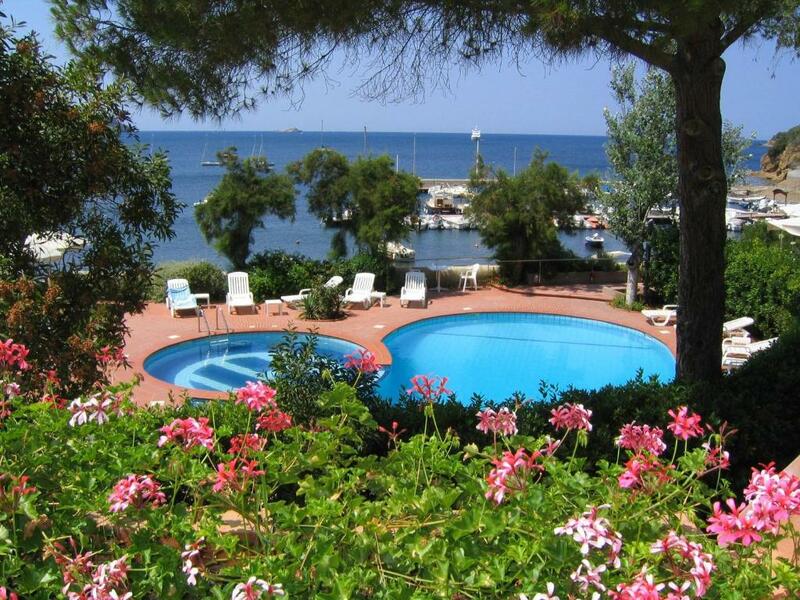 It features free Wi-Fi, a small private beach, and a garden with sea-view pool. 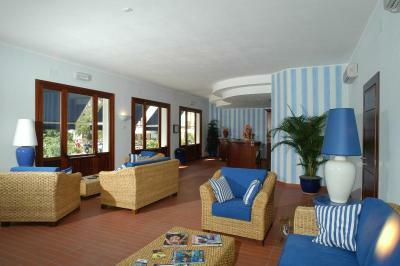 Provided with an LCD TV, all rooms at Mare Hotel are air conditioned and are decorated with pastel colors. 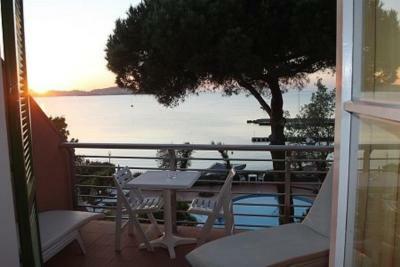 Each one has a balcony overlooking the surrounding hills, the garden or the sea. 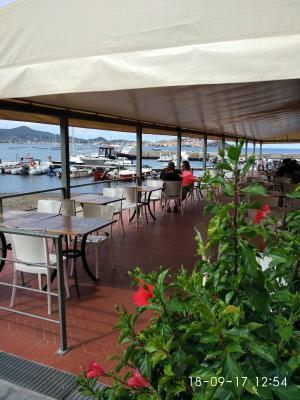 The hotel’s restaurant overlooks a marina with berths for small boats of maximum 30 feet. 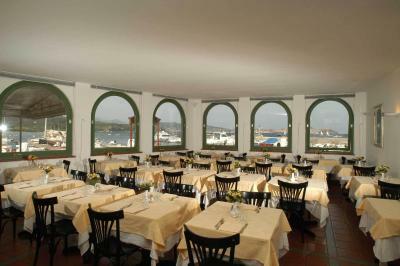 Meals can be enjoyed on the sea-view terrace. 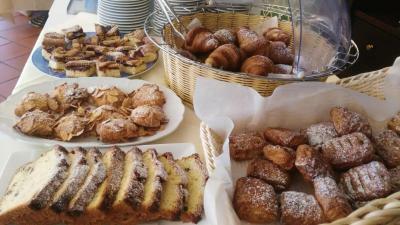 Breakfast is buffet style and includes both savory and sweet food. 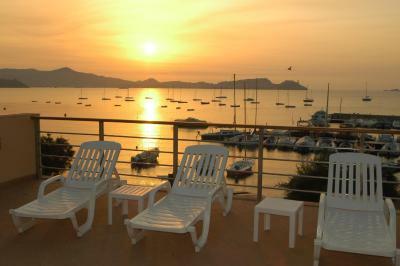 The property can organize activities such as diving and sailing. 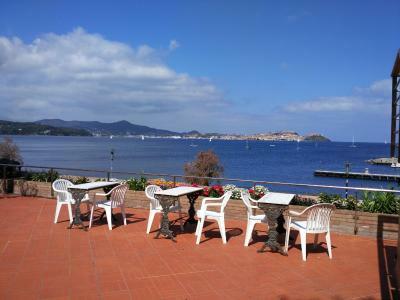 Portoferraio is a 15-minute drive from the property, and provides ferry links to Piombino and the Italian mainland. Free parking is provided on site. 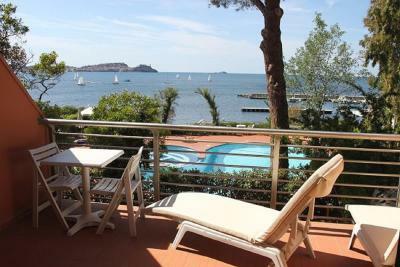 When would you like to stay at Hotel Mare? 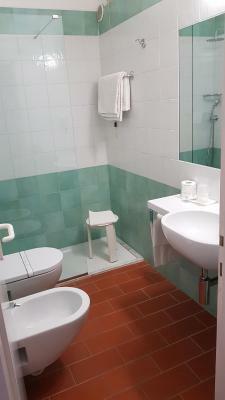 Air-conditioned room with an LCD satellite TV, a mini-bar, free WiFi and a fully equipped private bathroom. Located on the ground or first floor. With sea views, this larger room is located on the second floor. It offers a seating area, a satellite flat-screen TV and free WiFi. The private bathroom is fully equipped. 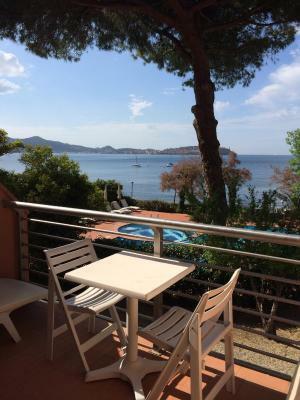 With lovely sea views and free WiFi, this refurbished room is located on the first floor. All rooms come with air conditioning, an LCD satellite TV, a mini-bar and a fully equipped private bathroom. Featuring a balcony and free WiFi, this air-conditioned room offers an LCD TV with satellite channels and mini-bar. Its bathroom is complete with a hairdryer and free toiletries. Featuring a balcony with sea view and free WiFi, this air-conditioned room offers an LCD TV with satellite channels and mini-bar. Its bathroom is complete with a hairdryer and free toiletries. 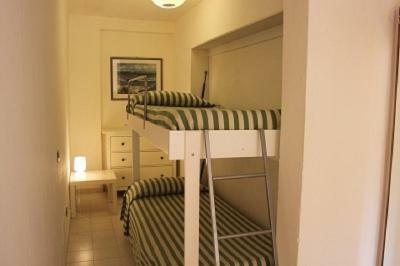 Featuring a balcony and free WiFi, this air-conditioned room consists of 1 double and 2 single beds. 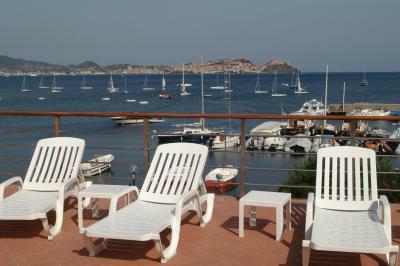 It offers an LCD TV with satellite channels and mini-bar. Its bathroom is complete with a hairdryer and free toiletries. House Rules Hotel Mare takes special requests – add in the next step! Hotel Mare accepts these cards and reserves the right to temporarily hold an amount prior to arrival. The hotel's beach can not be used for swimming. Is not clean. Breakfast is just average without fantasy. No vegetables, tomatoes, olives. In Italy is normal ? I think. Housekeeper was starting to clean the rooms so early around 8.30-9 am ... so was difficult to sleep well , unfortunately the walls are very thin and everything is audible. The restaurant was a wee bit pricey, but that was our fault due to what we ordered. The hotel's beach was a bit of a walk from the property and there was some work being done to remove the mountains of seaweed on the shoreline. 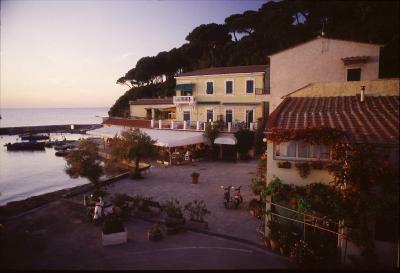 Beautiful location on the old fishing village of Magazzini. Room had a great view of the bay, early morning woke to the sound of birds. Very nice small but deep pool. Everything was clean and fresh, helpful staff but never intrusive. You can have breakfast from 8 o'clock. It's very beautiful at the beach. Everything was perfect, i would definitely return and would also recommend this hotel. The location, staff are wonderful and the comfort of the room was very good indeed, It would have been even better if there was a bath in the bathroom, but this was not a problem. Breakfast on the terrace overlooking the sea was lovely. This is a great base from which you can easily explore the Island.